We've covered all sorts of ways of keeping women speakers off the program, but this year, the Tony Awards for the best in Broadway plays and musicals, and its broadcast network CBS, found a new way to steal that show. When Lisa Kron and Jeanine Tesori were named the first all-female songwriting team to win a Tony for best musical score, the televised show cut to a commercial during their acceptance speech. We’re like “I didn’t know we have a garden. I didn’t know we had a freaking ballroom. This pantry is full of food—I had no idea.” The thing is, all those other rooms have always been there, and there has always been really interesting people in them, doing ravishing things. And wouldn’t it be so great that after this season we didn’t all just go back into the living room. This has been the most successful season in Broadway history because all of us have been going into all of these amazing rooms in our house, where we live together, that we haven’t been in before. You guys, our house is SO big. Please, let’s not just go back into the living room. And I didn't realize that a career in music was available to women until 1981. I saw the magnificent Linda Twine conduct "A Lady and Her Music: Lena Horne." And that was my "Ring of Keys" moment. Which, by the way, that's not a song of love, it's a song of identification, because for girls, you have to see it to be it. And I'm so proud to be standing here with Lisa Kron. We stand on the shoulders of other women who have come before us: Mary Rogers, Tanya Leon, Linda Twine. "Ring of Keys," performed earlier in the show, is a song in which a young girl realizes she's attracted to women. 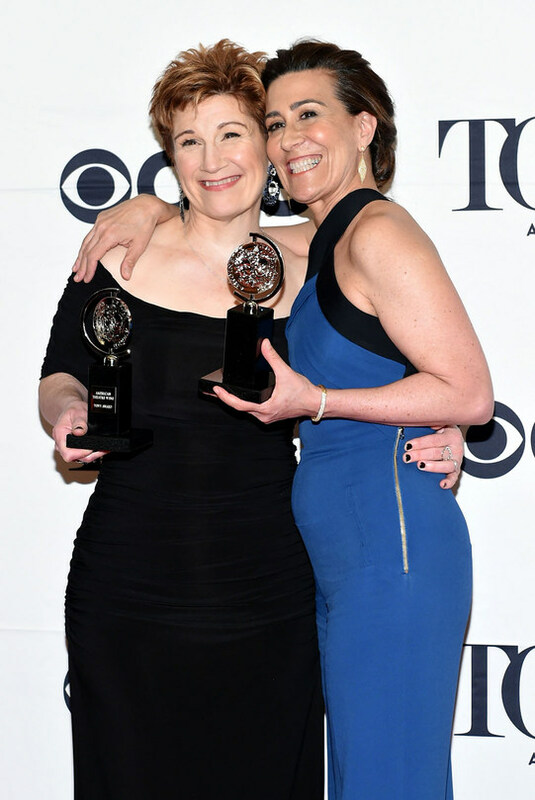 At the moment when Tesori said, "for girls, you have to see it to be it," she didn't realize her own words would go unseen and unheard outside of the hall that night. Of course, justice came swiftly on Monday as media covered the omission of the glass-ceiling-breaking speech, and social media spread the videos around widely, an "in case you missed it" that everyone missed. What can you learn from these famous speeches? Metaphors help us reframe and process thorny issues: Kron's speech for her best musical book prize tackled all types of discrimination and omission in theatre production, not just gender bias, and did so with a simple and powerful metaphor. Without making the problem pretty, she used the metaphor to say, in effect, "You're missing lots of great theatre when you don't open up opportunities to women and people of color and the LGBT community," drawing a picture of a much bigger, more comfortable house to drive her point home. Bear witness to history when you have the chance: Tesori appropriately marked the occasion and it's a good thing she did, since the broadcast didn't. When you have the chance to note an historic moment, do it. Some day, your words might be the only evidence. Get wider recognition: You might say that being honored in front of their industry peers was honor enough, but in fact, these prominent awards translate into ticket sales, revenues, and career advancement--all things that can be diminished by missing their turn on television. You might think I'm exaggerating the need to get credit for your public speaking by publishing your text and videos, but if this can happen to two prominent Broadway songwriters, it sure can happen to you. Make sure you get the credit for your speaking. Things turned out all right for Fun Home: Winning best musical the same night resulted in quadrupled ticket sales in the days that followed, putting a price on the value of being seen in this way.